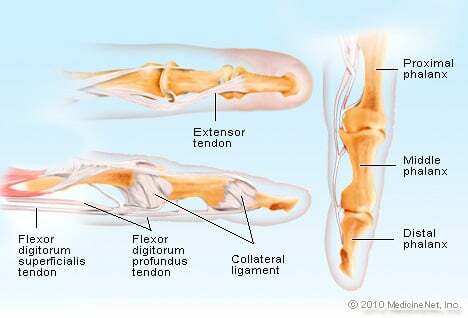 The olecranon is a large projection of bone on the back of the elbow. 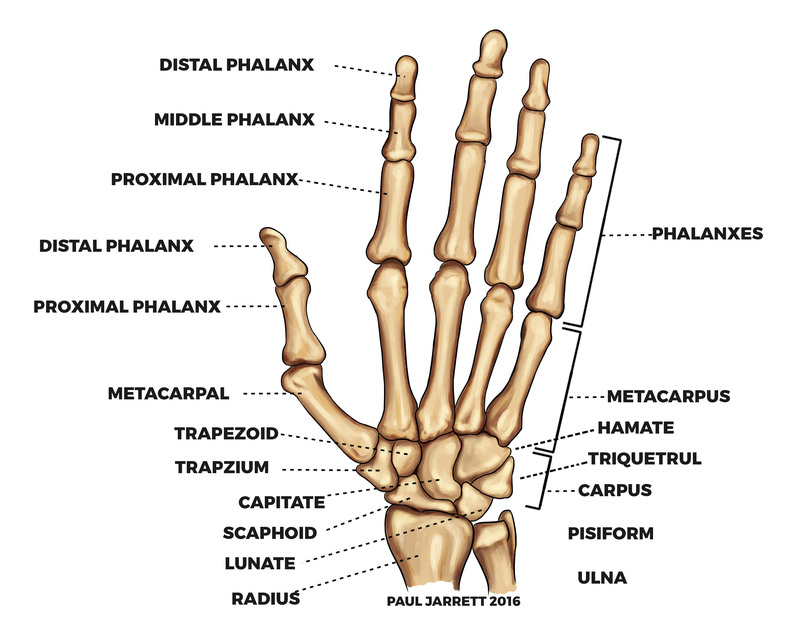 Like the radius, the ulna has joints at the elbow and wrist. 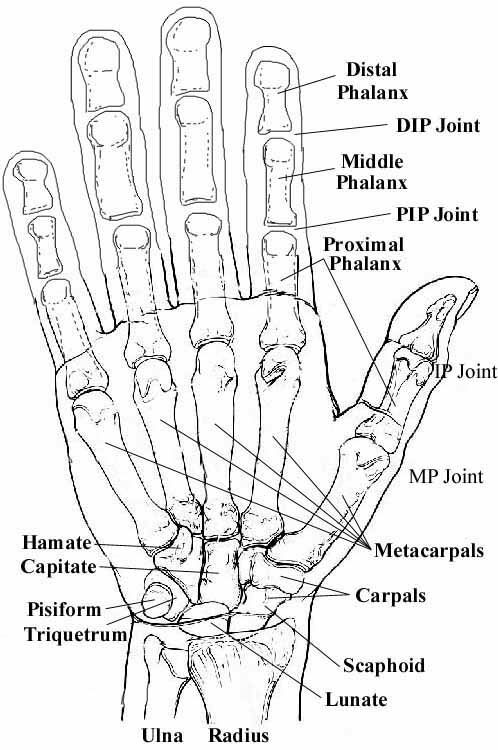 The middle phalanx has joints with the proximal phalanx and with the distal phalanx of the finger. Punctuation can enhance your search as well. 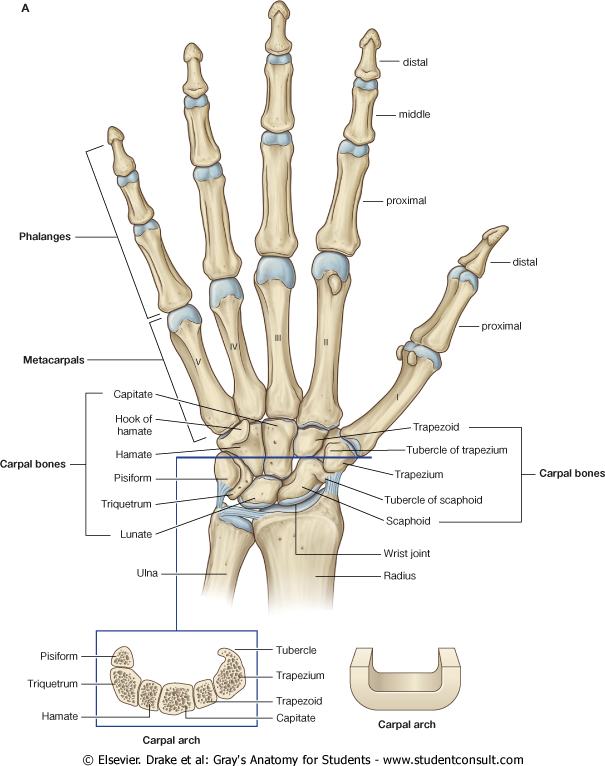 This bone has a crescent shape when seen from the side and its large thumb bone anatomy surface allows for significant wrist motion. 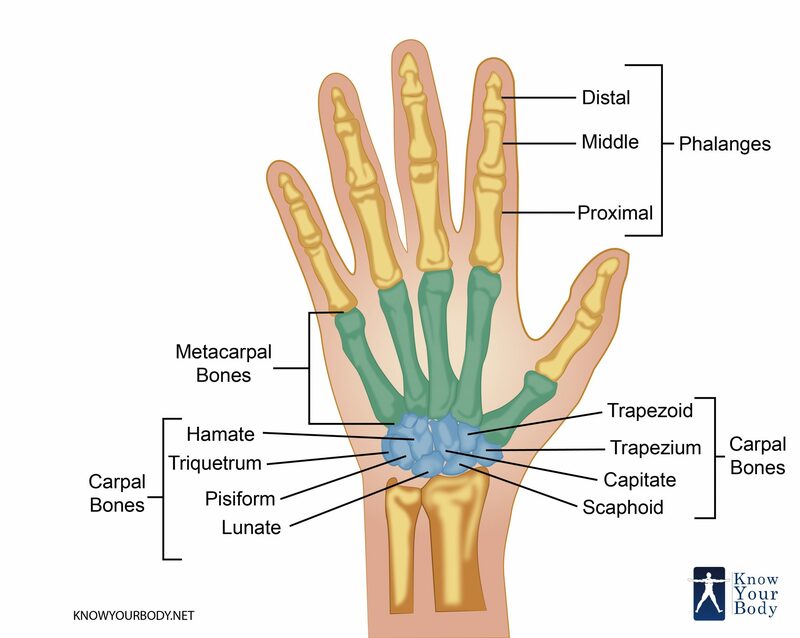 The acromion is a fairly flat projection of the scapula that curves around from the back to the front of the shoulder. 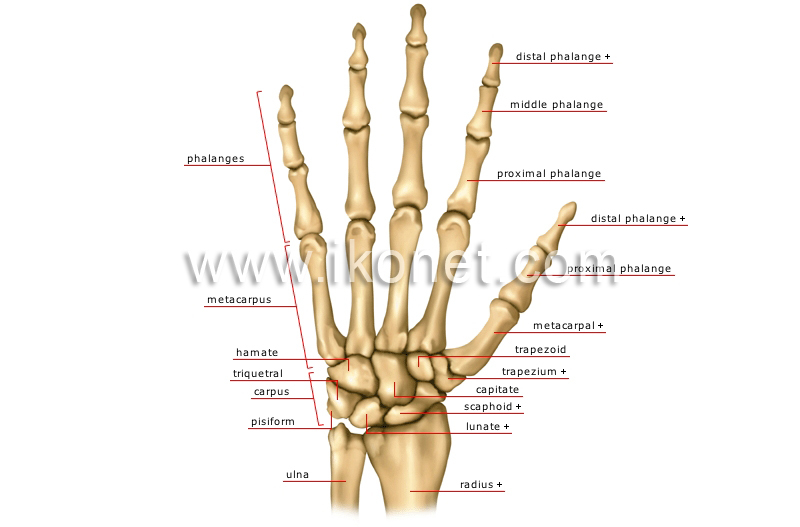 The triquetrum is a bone on the small finger side of the wrist in the first row of wrist bones.